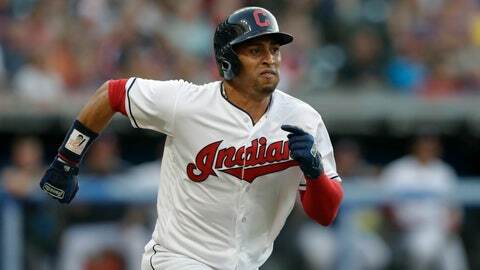 CLEVELAND (AP) — Cleveland Indians outfielder Leonys Martin has been cleared to resume physical activities after a major health scare. The 30-year-old became extremely ill this summer shortly after he was acquired in a trade from the Detroit Tigers. Martin contracted a bacterial virus that affected his organs and jeopardized his life. Doctors were able to eradicate the infection and Martin was eventually released from the hospital. The Indians said Martin underwent a scheduled checkup Tuesday at the Cleveland Clinic and was told he could begin an unrestricted offseason strength and conditioning program. The team anticipates him being ready for the start of the 2019 season. Cleveland had traded for Martin to address its pressing need for a center fielder following a slew of other injuries. But he ended up playing in only six games, and the Indians moved second baseman Jason Kipnis to center. Martin has a career .248 average with 49 home runs in five plus-seasons with Texas, Seattle, the Cubs, Tigers and Indians. He agreed to a $3 million, one-year deal with Cleveland last month to avoid salary arbitration.